I decided to try and make another Clean and Simple card. This time, I wanted to add some texture, but without adding layers. I only embossed part of the card with an embossing folder and left an empty circle where I could stamp. The circle seemed a little unfinished where the embossed dots stopped, so I used a circle die and embossed it so it made a ring around the space where I was going to stamp. This left me a round space that was perfect to stamp these cuties, Mr. Milk and Miss Cookie. I wish you could see the card in person because the hearts have pink Wink of Stella on the bottom ones and clear Wink of Stella on the top. Miss Cookie has purple Wink of Stella on her shoes. This adds just a little sparkle to the card. Inside, the sentiment says, "We are better together." Awwww! How sweet! There is a heart on each side of the words which I also colored with pink Wink of Stella. This card may be clean and simple, but it's not plain! 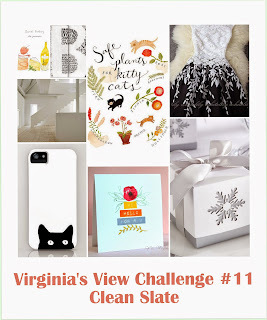 I am entering my card in a new challenge to me, Virginia's View Challenge #11 Clean Slate. In this challenge, there is a lot of white space. There is only one layer to the card. There is white on white textured designs (the embossed dots). In it, a clean slate means anything that involves white and my clean and simple one layer card has lots of white! 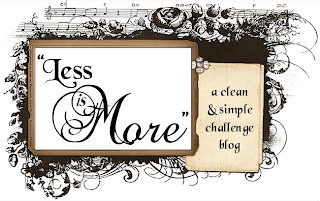 Another new challenge blog that I have found which my card goes with is the Less Is More blog. 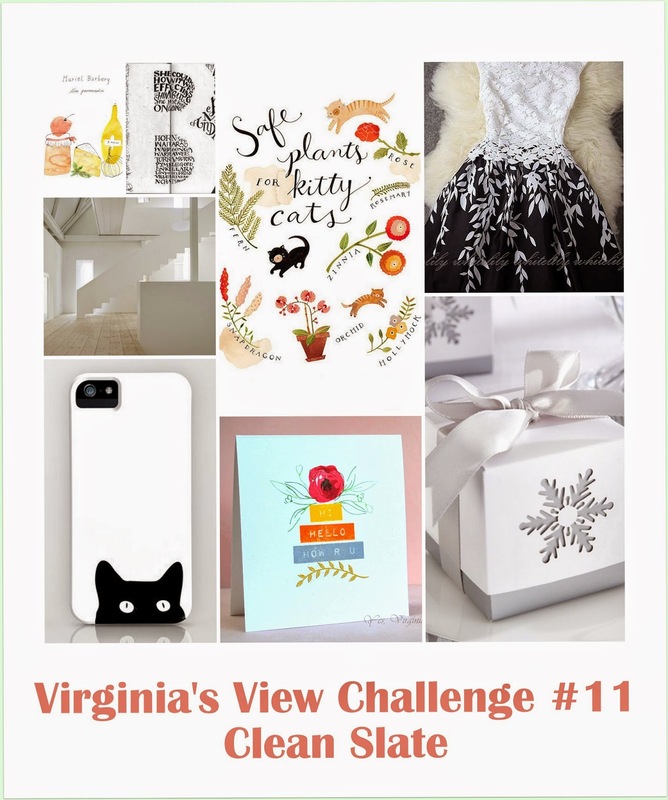 This challenge is "One Layer Cards" with a theme of "New Beginnings." I can't think of many things more fun and exciting than the beginning of a new romantic relationship, when the boy you have had a crush on holds your hand for the first time. I know the girl cookie stamp doesn't have real eyes, but I swear she's looking at that boy glass of milk with love in them! Whether your special relationship started 40 years ago, 4 days ago, or is just around the corner, I hope the thought of that new beginning makes you smile like that cookie and glass of milk! Love this clean and simple card. So fun and elegant too! FUN! I love these opposites! (maybe a little too much, lol!) and how you've created interest by embossing a frame and background! So glad you joined us at OLS! I love how you got so much dimension to a one layer card. Lovely card. It is really sweet. This is a real sweetie, what fun images! Awww, this is such a great card! So sweet!!! Would love to know more about how you did your embossing technique!! Very fun card!! Oh my goodness, what a cute yummy card! This is just darling! Fab idea for your new beginnings card ! This is just cute as a bug!! Love your embossing! Love you're milk and cookies card, but I also love little Frankfurter! I almost became the mommy of a Doxie rescue this week, but the people in front of us who had applied first took her. :( My turn will come.